Venue location, travel and accommodation information. 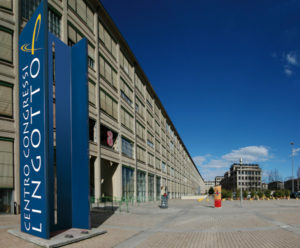 The conference will be held in the Lingotto Congress Center, which is located just outside the city center of Turin, via Nizza 280. To get from Turin Central Station to the venue, just take the underground for 6 stops. Turin can easily be reached by any method and from any place, and it’s the ideal base for speedily getting to all the tourist spots of the province in the comfort of vehicles and public transport. What’s more, there is plenty of information for those arriving or departing by plane, signalling the airlines and the connections to and from Turin’s International Airport, or those going by train or bus, providing a complete overview of the stations, bus stations and every season’s timetables of all the lines.